The Pro-Line series was introduced in the early 1970s, and ran, possibly, into the early 1980s. This line encompassed a wide variety of Brother models, including one featuring dial-a-type (see here). Numbers in this line include the 707, 709, 714, 715 and 719. What these indicate is anyone’s guess, but my hunch is that they can be assigned to various models within the existing Brother line. The numbers do not appear to indicate carriage width — my 714 has a 9 1/2″ carriage. Pre-rapid spacer model, featuring three models. It is not entirely clear what the numbers represent. Lebanon Daily News, Lebanon, Pennsylvania, May 18, 1971. 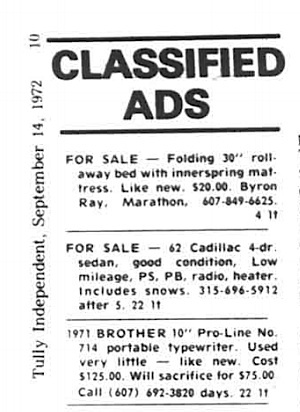 Independent, Long Beach, California, Aug 4, 1972. From a 1972 classified listing. 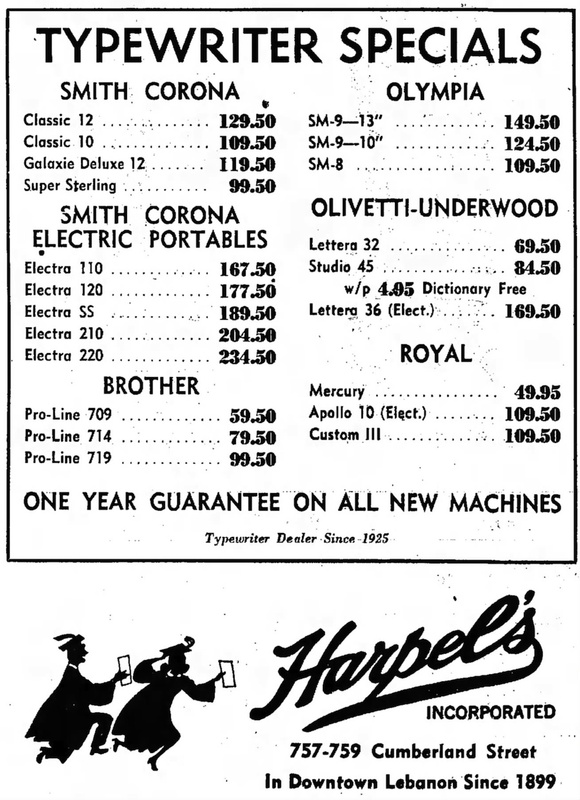 Considering that a new model could be had for $49 (see ad above), $75 doesn’t seem quite a sacrifice! Very nice looking Brother. I like its nice clean typeface. Another nice Brother. I guess not *all* the Pro-Line had Dial-A-Type capability, another theory shot to heck. Looks like yours has a busted escapement tooth? Yes, it appears “Pro-Line” was simply a name Brother employed for marketing purposes, which was applied to any number of existing models. Mine was a Goodwill purchase (less than $20) and a few items are bent, but everything functions. A solid typer, actually. 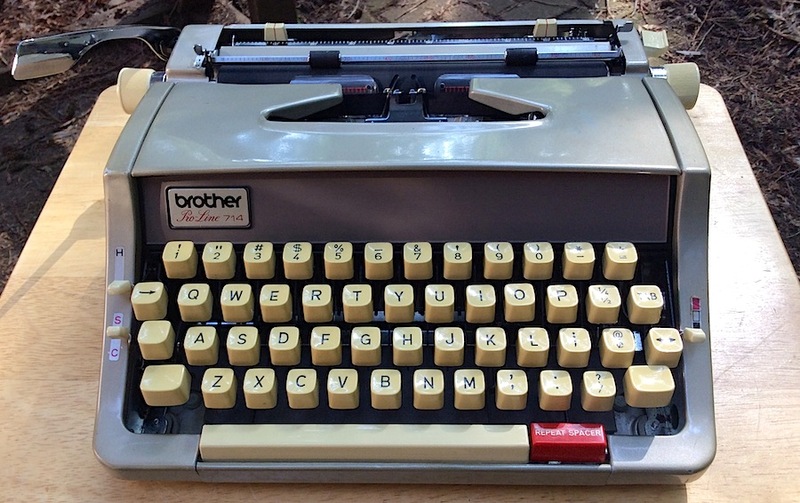 It will likely join my collection of “active” machines, especially as I like this style of Brother typewriter. Does anybody know how much these type-writers are worth? I have a 1970 proline 714 typewriter. We just found a brother Charger 11 white in color..looks exactly like the one in ad above listed at $29.88 in 1972…anyone know value? Next post: Work In Sight.